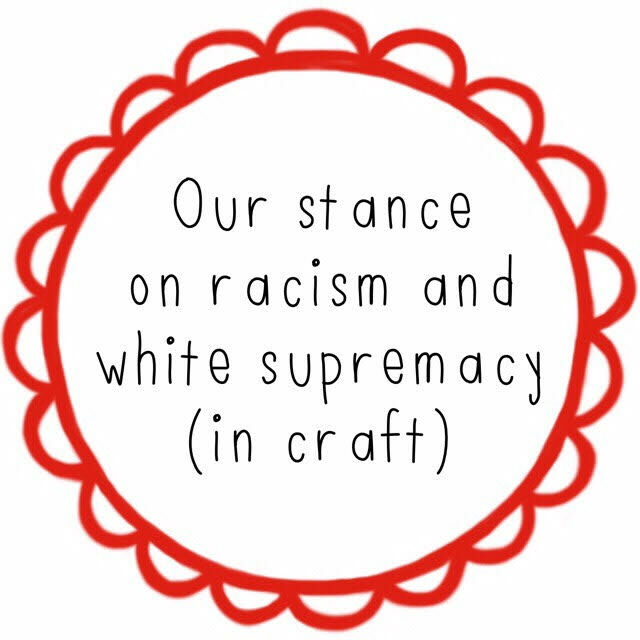 As many of you will be aware, for the past couple months there has been a lot of conversation around racism and white supremacy within the context of particularly the knitting and slow fashion communities online, both of which have a lot of crossover into the sewing and quilting world. For some background, this article on Vox.com, "The knitting community is reckoning with racism", has done a good job of summarizing what sparked this. I've followed the conversation closely, hearing so many stories about experiences with racism both in daily life, and specifically in craft and slow fashion spaces (both online and offline). While I can't say any of this shocked me - I know racism is far from being behind us - the personal nature of what was shared, mostly via Instagram posts and stories, really brought this to life in a way that resonated with so many people. It has been like nothing I've really seen before, as far as the reach and effectiveness of these posts - and because of that, there has been both immense support and some very disappointing and harmful backlash. Textillia is 6 months old + we need YOUR help! It's hard to believe, but as of this past week Textillia has been live for six months! We're so happy with how far things have come, both with adding new functionality to the site and with our growing community. Thanks so much to everyone who's already gotten involved - we're grateful to have each and every one of you here, taking part in our grassroots effort to build the Ravelry of sewing! We've had such generous offers of help from many of you, but ironically because my chronic illnesses limit my time online so much, it's been difficult to help you help us - I'm happy to say that as we get more established, that is changing! Some lovely volunteers have already stepped up and taken the time to add loads of fabric and patterns to the database. One member in specific, Ksenia aka. Owl.Laughing deserves special thanks, as she has taken it upon herself to add what must by now be hundreds of patterns to the database! Thanks so much Ksenia, for all the time and effort you've contributed! Now that we've got lots of the basics established, we are ready for you to dive in and help as we work towards our goal to get out of beta before the end of the summer (hopefully sooner!) The biggest missing piece of functionality we want to get in place by then is Groups. Groups will be a core part of the community focused side of Texillia, and will enable us to create a bunch more tools for the business pages as well. We know how important this will be with the increasing challenges of using social media to stay connected with sewing friends and businesses, so this will be a key step in making the sewing community of our dreams!